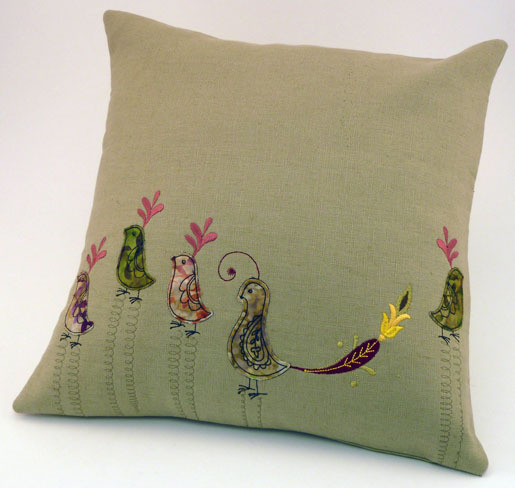 Sweet appliqued birdies flock together on the front of Elva Mungai’s Made to Create pillow, which features Retro Birds Embroidery Collection #21001. 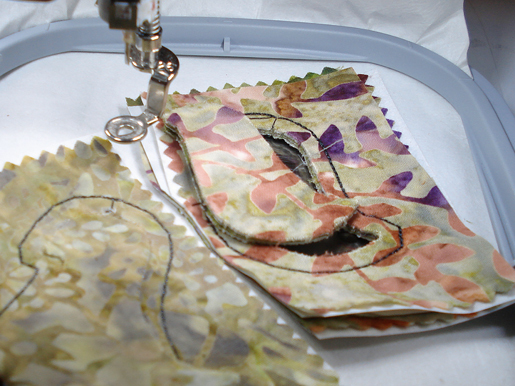 All of the applique for this project – including the cutting of the applique shapes – is done using the embroidery machine. 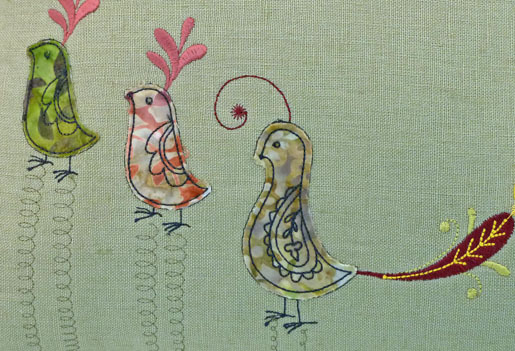 First the straight stitch outlines are stitched on a layer of hooped stabilizer. Here, two bird shapes were arranged to fit into one hooping. 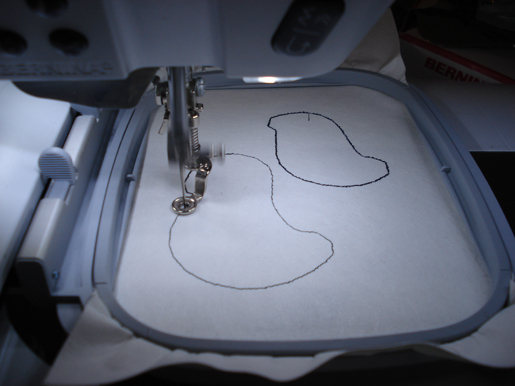 Next, layers of Stabil-Stick stabilizer and fabric are placed over the outlines, taking care that they completely cover the stitched outline. 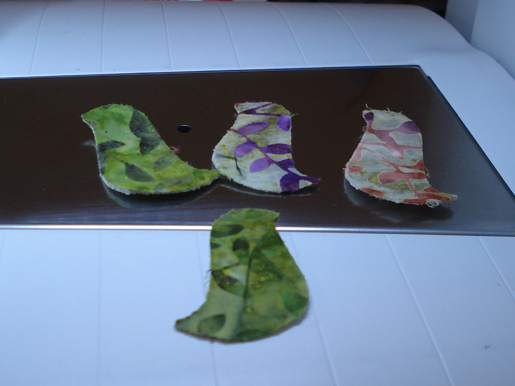 (If they don’t, some of the fabric will be missing along the edge of that applique shape.) The outline is stitched again to hold the fabric layers in place. The entire composition is embroidered in the Mega Hoop, with the fabric applique shapes added following the prompts on the embroidery screen. Each shape is secured and embellished automatically. 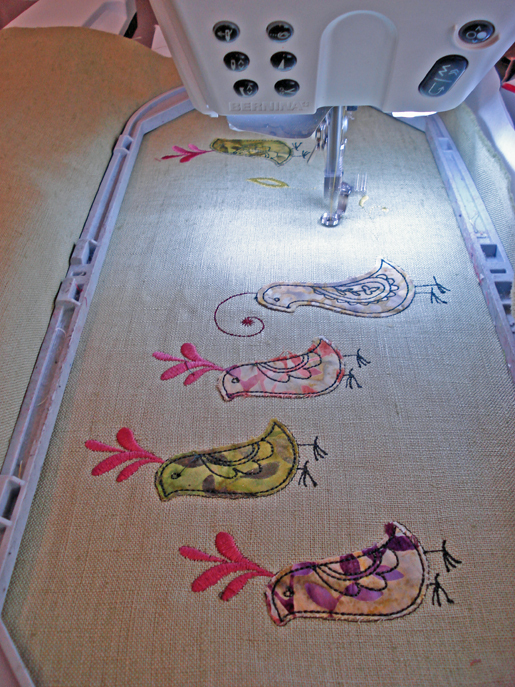 To create the “bouncy” birds, “springs” were added under their feet with columns of decorative sewing machine stitches. 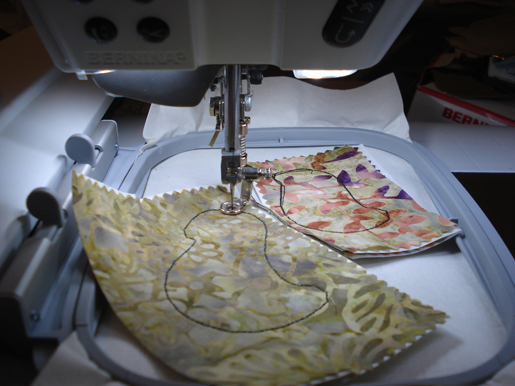 Does the deco 330 applique as well as embroidery??? 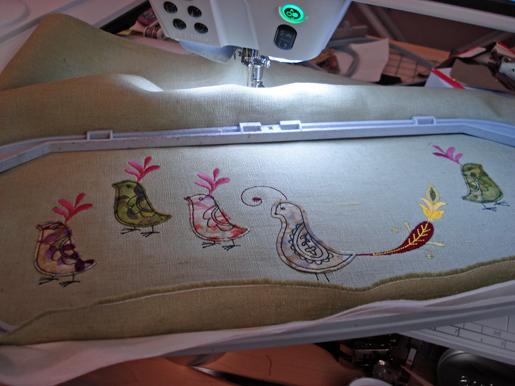 I know it’s a dated machine but I’m not sure if you use applique software with it?? 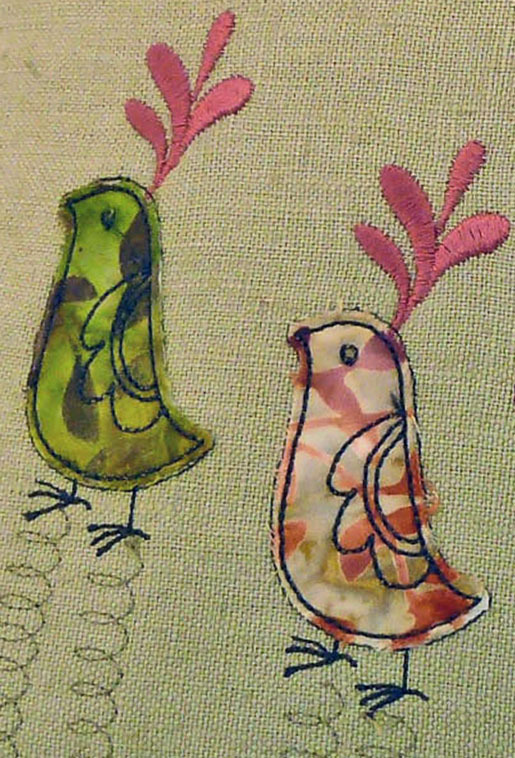 Hi Donna, some embroidery designs are created especially for machine embroidery, and these are the types of designs you would need to use with your deco 330 if you wanted to try machine embroidery appliqué in the hoop. You would need to make sure that the designs you use are formatted correctly for your deco 330. I suggest visiting your local BERNINA store to find out more about machine embroidery designs formatted for appliqué in the hoop.